If you would have asked me “What do you want to be when you grow up?” I can almost guarantee you I wouldn’t have said recruiter. I entered this crazy line of work in the late ‘90s. I enjoy working with people and building relationships so it was a natural progression to work in this field. I learned very early on the key to success in working with both clients and candidates – communication! There is nothing more frustrating than having to wait for that one phone call or email to come through. Constant feedback is crucial to success at each stage of the hiring process when working with an outside firm. From the initial stages of setting expectations with your recruiter to relaying key next steps at each phase of the hiring process, you must give constant and extremely clear feedback. Feedback is best given straightforward and without sugar-coating. 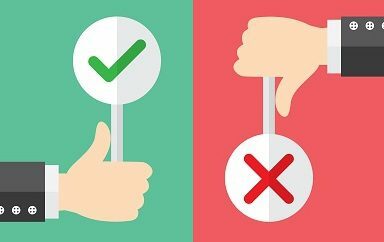 This isn’t to say feedback should be purely critical or rude, but many times negative feedback given with a positive beginning and ending (a negative feedback sandwich) will not clearly convey what needs improved. People tend focus on the positive and lose sight of the negatives that need work. As a recruiter, I can say that I want all of your feedback – especially the negative. I want to be a great recruiter who can consistently provide the best results. The open line of communication is vital to the hiring success. Recruiters only know the things about your company that you share with them, so you need to have open and honest conversations about key expectations for the role you are trying to fill, company culture and personalities the individual will be working with. The same goes if you are on the opposite side of the desk. If you are a job seeker working with a recruiter, you have to be open and honest from the initial stages of interviewing to that final steps of accepting a job offer. I spent a few years away from the recruiting world and upon coming back into this field, I realized that not much had really changed in 10 years. People are people and we all want and need that continual feedback; it is vital to making solid, informed hiring decisions. For any worker, whether you are an employer or an employee, or even the recruiter in between, keep the lines of communication open always!